I’ve been out of action on the blog front this week as our laptop died so I feel a bit rusty writing this post tonight after a week off! 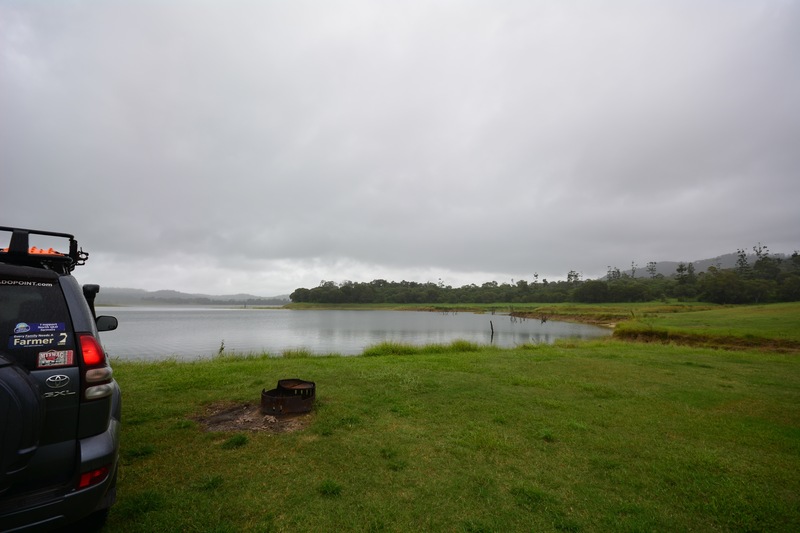 This week’s Sunday Snapshot is of a little four wheel drive trip we took today. 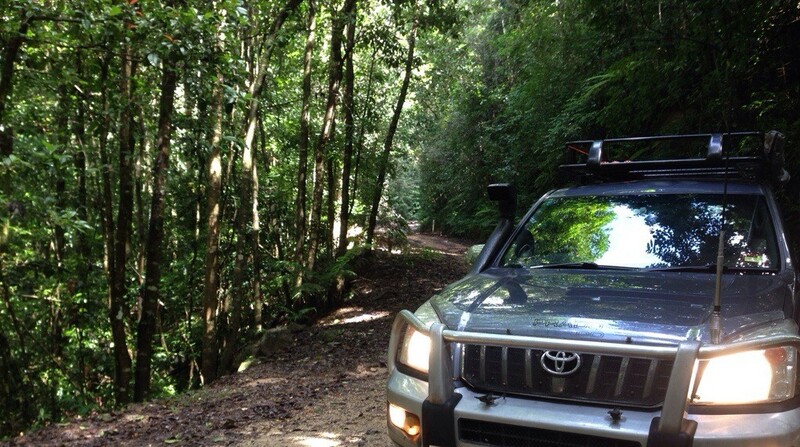 We decided to explore the Kauri Creek Road 4wd track which can be accessed out of Mareeba via the Tinaroo Creek Road. 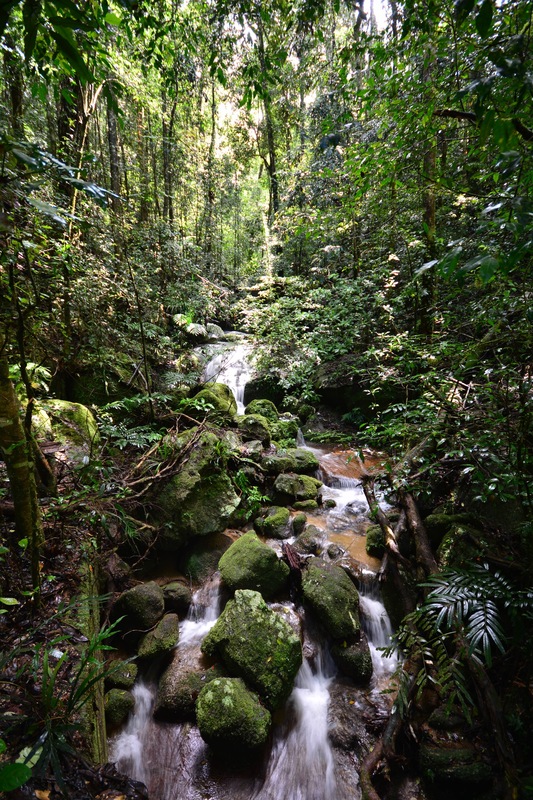 It was a fairly narrow track with some steep climbing up through the rainforest and clouds of the Lamb Range Rainforest with some great views along the way. It wasn’t a long drive – only an hour or so and we drove slowly. There were lots of fallen trees, luckily for us they had already been cleared off the track but it would probably be wise to take a chainsaw with us in future! It’s been a while since Matt had a play with the camera! 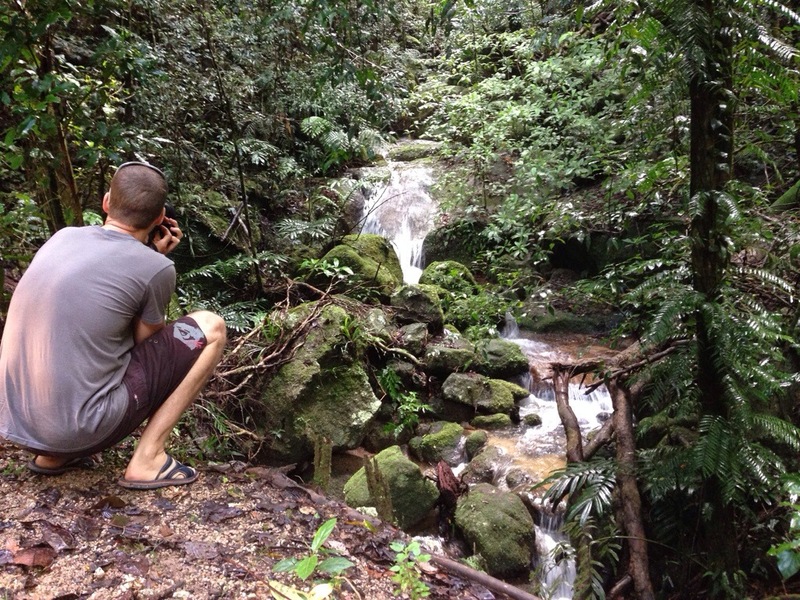 Some lovely little waterfalls along the way. There were overgrown walking tracks along the way but we saved those for another day when I am not so pregnant and feeling a little more adventurous. Oh, and in the five minutes I had out of the car to check out the little waterfalls in the photos I got two leeches, so I am sure you would have to be prepared for many if you were tackling one of the walks! 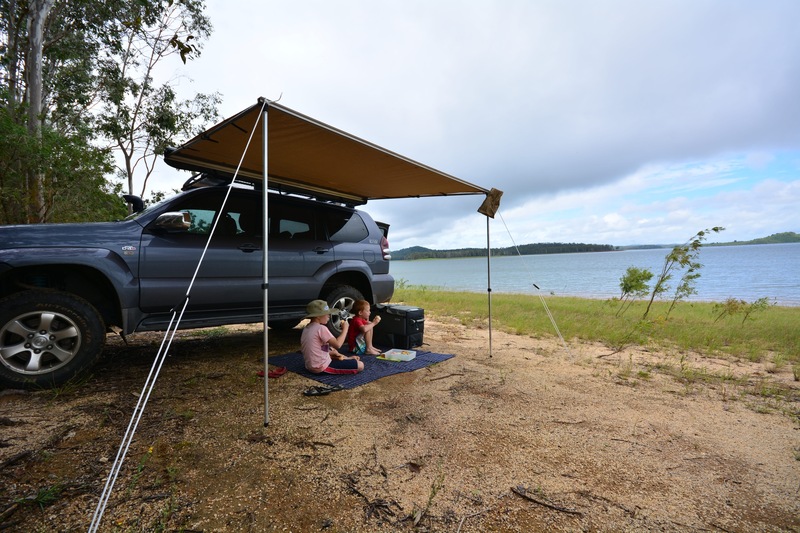 The Kauri Creek Road spat us out at Lake Tinaroo in the Danbulla National Park, so we checked out the camping areas along the lake and finished up with a picnic lunch in a nice little spot by ourselves on the lake’s edge! A pretty good morning out and a chance for Matt to scratch the ‘4wding itch’ a little although we didn’t even make it into low range – much to his disappointment! What did you all get up to this weekend? What a lovely adventure. Spectacular water rapids pic. You seem very calm about these leeches. I fear I would have been a little hysterical. I’m sooo terrified of leeches and ticks. Awww Jayde! It makes me so happy that you read our posts xoxoxo! Miss you lots little mate!! Come visit soon! !